Motorola Solutions' Si200 body cam works with its CommandCentral Vault digital evidence management system. Last month Motorola Solutions introduced its latest body-worn camera, the Si200, which is designed to complement the company's evidence management tool CommandCentral Vault. The Si200 features simple controls, more than 12 hours of battery life, low-light recording capability, and Mil-Spec toughness. In addition, the Si200 has a two-minute pre-recording buffer that can capture evidence before the officer turns it on, and an innovative GPS that captures the exact coordinates where the data was recorded. Unlike the Si500, which was introduced in 2016, the new Si200 is not a dual-purpose body camera and radio mic. "The Si500 was integrated into the radio ecosystem," says Adam Schwartz, director of digital evidence management for Motorola Solutions. "The market was in a very different place at the time. It was very much about the cameras. Now the cameras are the secondary piece to the broader story, and that broader story is about the records and evidence." Schwartz adds that the new Si200 is designed as an "enabling product that allows law enforcement agencies to leverage the full power" of Motorola Solutions' digital evidence suite. That digital evidence management suite is CommandCentral Vault. A cloud-based tool that is constantly updated so that users always have the latest version of the software, CommandCentral Vault is more than just the "back end" software for a body camera system. CommandCentral Vault intelligently organizes all of an agency's digital evidence content in one place. The secure CJIS-compliant system lets authorized users review case evidence quickly and efficiently, and easily share that evidence with other agencies and with prosecutors as needed. Redaction capabilities are included in CommandCentral Vault so that agencies can protect the identities of victims, witnesses, minors, and undercover officers. Schwartz says the mission of CommandCentral Vault is to help agencies "consolidate all their evidentiary data into a single backend." According to Schwartz, more and more agencies want to move all of their digital evidence into one management suite. "What really makes a body-worn camera program valuable to an agency is how the video is managed and what you do with that evidence after capture," he says. One of the most critical concerns in digital evidence management is chain of custody. 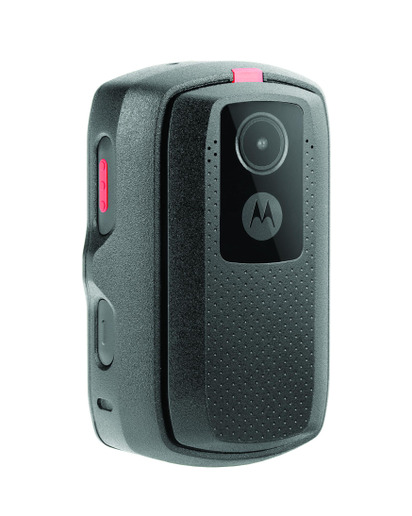 Motorola Solutions' tandem of the new Si200 body-worn camera and the CommandCentral Vault digital evidence management system is designed to ensure chain of custody from capture to the end of the case and deletion or archiving of the evidence. Motorola Solutions says CommandCentral Vault is an extremely versatile digital evidence management tool. "The definition of a record is changing. No longer is it just the forms and reports an officer completes, but the video, audio, images, sensor data, and more that were captured throughout the incident lifecycle," the company says on its website. Numerous types of evidentiary material can be organized in CommandCentral Vault, including video from a variety of sources, audio, still images, documents and reports, and even data from gunshot detection tools. A wide variety of video can be managed by CommandCentral Vault, including files from in-car video systems, surveillance cameras, and from smartphones. Schwartz says that Motorola Solutions' digital evidence management suite can even handle video files from body cameras produced by the company's competitors. "CommandCentral Vault is a digital evidence management backend for all of the different systems that an agency can use. It creates a much more streamlined and efficient workflow for working with that evidence," Schwartz says.